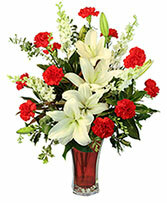 Order within 6 hours 25 minutes for Same Day Delivery! 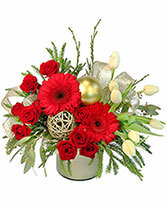 Gold Cylinder Vase, Assorted Gold Ornaments, Seeded Eucalyptus, Red Spray Roses, White Tulips, Red Gerberas. 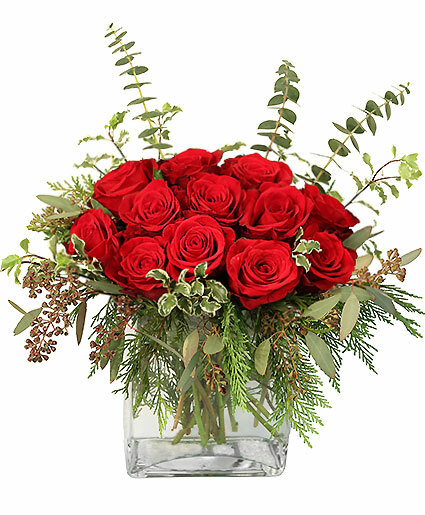 Red Glass Vase, Magnolia, Baby Eucalyptus, Holly, Variegated Mini Pittosporum, Cedar, White Lilies, White Larkspur, Red Carnations.